Yes, organic is more expensive; but consider it a donation to Mother Earth. You’re saving the soil from nasty pesticides and your body will reap the rewards from the extra goodness. My obsession with everything organic has taken me as far as an organic baby moon at the foot of Mount Etna in Sicily to an ‘organic hotel’ in Copenhagen this year. Few things thrill me more than waking up on an organic mattress to shower with organic shampoo, drink filtered water – and pull an organic beer from the mini-bar should I so choose. I realise that I am in the minority with this obsession, and that sometimes I take things too far. However, there are real and valid reasons for trying to get as much organic produce into your and your child’s diet; especially during pregnancy and weaning. Eating organic makes sense. If you have a choice between eating a strawberry covered in chemicals, or one not covered in chemicals – the choice of obvious. However availability and affordability can put paid to the best intentions; not everyone lives next door to a Planet Organic, nor has the cash to splash at farmer’s markets every weekend. So what is worth spending your money on? Organic fruit and vegetables have up to 69 per cent more antioxidants according to a major review of 343 peer-reviewed studies. Scientists from the University of Newcastle found that, in the absence of pesticides, organic plants were able to activate their own defense mechanisms to ward off bugs and pathogens and in doing so, the plants produce more health-promoting phytochemicals. Vitamins, minerals and fat-burning nutrients are higher in organic dairy. Milk from organic animals contains 40 per cent higher levels of conjugated linolenic acid (CLA), which has been shown in several studies to promote weight-loss. Research suggests this antioxidant-rich fat is also protective against heart disease, diabetes and cancer. 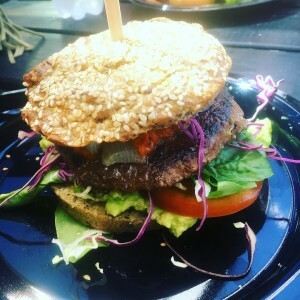 Beneficial omega-3 fatty acids are also 50 per cent higher in organic meat and dairy according to a recent study published in the British Journal of Nutrition. With meat, it’s not just about the goodness that’s in a grass-fed organic steak, but what’s not in it. In the UK, over a million tonnes of GM crops are imported each year to feed non-organic livestock – which ends up in our milk, cheese, eggs, bacon, poultry and red meat. While industry insists GM crops are safe, the scientific literature is far from so clear cut. The now famous 2012 French study in which rats fed GM corn developed cancerous tumours is enough to make you think twice. Did you know that roughly 30% of British bread samples contain traces of a toxic weedkiller? The shocking finding comes from a report by the Defra committee on Pesticide Residues in Food (PRiF). The chemical, glyphosate, is also sprayed around parks and is used liberally in UK farming; in the last 20 years its use has increased by 400%. So what’s so bad about glyphosate? Glyphosate is linked With infertility, gastrointestinal disorders, Parkinson’s, Alzheimer’s,autism, as well as Crohn’s, colitis and diabetes according to Dr. Stephanie Seneff, a senior scientist at MIT. It also promotes the growth of deadly bacteria according to research from the University of Leipzig published in 2015. Organic bread on the other hand, particularly sourdough, is a different story. Organic slow fermented sourdough can feed the good bacteria in your gut, spikes blood sugar less than regular brown bread and the fermentation process reduces the toxic parts of gluten. 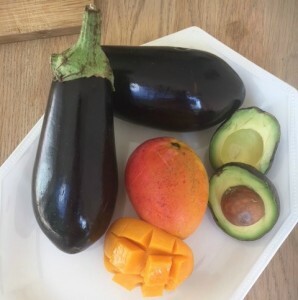 Some of the most expensive fruit and vegetables – like avocados, eggplants and mangoes – come under the list of the ‘clean fifteen’ ie fruit and vegetables with the least pesticide residues, so you can buy conventional and save on these items. To check out the full list, click here. Fish is also another food where organic is totally irrelevant – you want to be buying wild instead! Farmed fish are crammed into cages, pumped full of antibiotics and dyes and fed on grain. Your farmed salmon – in your seemingly health sushi – is likely fed on grain! Gross. Wild salmon on the other hand they get their characteristic pinky-orange colour from eating krill. Farmed salmon miss that so they are fed chemically synthesized astaxanthin to get the same result. So choose wild sustainable seafood. We’re talking wild salmon, sardines, mackerel – all very high in omega 3 and low in mercury. Finally, as with everything else with health follow the 80/20 rule. When you’re on vacation it would be sad to kill the holiday vibe (as I have been known to do) frantically looking for organic spinach when you could be relaxing by the pool with a book. If 20 per cent less organic means 20 per cent more chilled out, then that sounds like a healthy balance.